Before petitioning the court for sole custody rights, it's important to understand what exactly this type of child custody involves. Learn about the two types of sole custody. 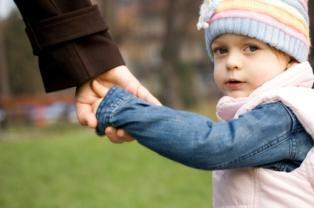 There are two different kinds of sole custody: sole legal custody and sole physical custody. Sole legal custody is when one parent has full responsibility and right to make all the decisions that affect the child(ren). This includes medical care, education, emotional well-being, moral and religious development. The other parent does not need to be contacted or asked for permission for anything that has to do with the child(ren). Sole physical custody is when one parent has the right to have the child(ren) live with him/her. While the other parent may have visitation rights, the child(ren) reside with the parent that has sole physical custody. It is quite rare that a parent receives both sole legal custody and sole physical custody. The court may determine that each parent has the right to decide together what is best for the child but one parent has the right to have the child live with him/her, giving the other parent visitation. The court may also decide to award both parents physical custody but only have one parent make all the decisions (sole legal custody). In high conflict divorce, many parents become vindictive and try to use custody as a weapon. The family court does not look favorably on this and may think negatively towards the parent who attempts to sway the court to believe the other parent is unfit when in actuality he/she is not. To protect children in high conflict divorces, family courts require proof to determine a parent's unfitness for custody. The parent who would like to petition for full custody must provide documentation and/or a witness that will back up the parent's claim. Sole custody rights are put into place to protect children. The parent who can make the best decisions and take care of a child the best should be awarded custody. If both parents can care for the child equally well and make decisions based his/her welfare, both parents should continue to be able to have that right. Just because the bond of marriage has been broken, it does not mean that the bond between parent and child must also be broken.